Once Lijun Liu saw the proximity of subduction zones to supervolcanoes, the game was afoot. His NSF-funded research project is a harbinger of the age of numerical exploration. NSF-funded research unlocks volcanic mystery foiling scientists for decades. 40 million years of simulation shows fount of Yellowstone supervolcano. Age of numerical exploration has transformed geological science. The Old Faithful geyser at Yellowstone National Park has thrilled park visitors for over a century, but it wasn’t until this year that scientists figured out the geophysical factors powering it. With over 2 million visitors annually, Yellowstone remains one of the most popular nature destinations in the US. Spanning an area of almost 3,500 square miles, the park sits atop the Yellowstone Caldera. This caldera is the largest supervolcano in North America, and is responsible for the park’s geothermal activity. Until last week, most geologists had explained this activity with the so-called mantle plume hypothesis. This elegant theory proposed an idealized situation where hot columns of mantle rock rose from the core-mantle boundary all the way to the surface, fueling the supervolcano and the geothermal geysers. To investigate the formation of Yellowstone volcanism, Liu and co-author Tiffany Leonard turned to the supercomputers at the Texas Advanced Computing Center (TACC) and the National Center for Supercomputing Applications (NCSA). Using Stampede for benchmarking work in 2014, and Blue Waters for modeling in 2015, Liu and Leonard ran 100 models, each requiring a few hundred core hours. The models weren’t too computationally intensive, using only 256 cores and generating only about 10 terabytes of data. 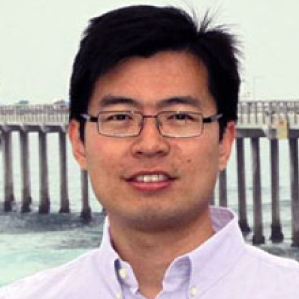 In subsequent research, Blue Waters, more attuned to extreme scale calculations, has allowed Liu to scale up experiments up to 10,000 cores. Liu and Leonard's models, recently published in American Geophysical Union, simulated 40 million years of North American geological activity. 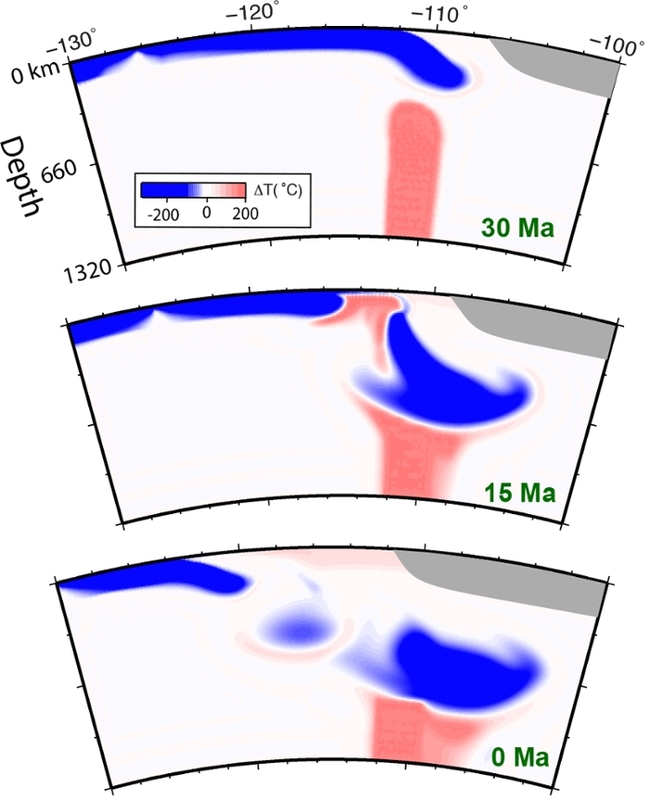 By using the most well accepted history of surface plate motion and matching the complex mantle structure seen today with geophysical imaging techniques, Liu's team imposed two powerful constraints to make sure their models didn’t deviate from reality. The models left little doubt that the flows of mantle beneath Yellowstone are actually modulated by moving plates rather than a single mantle plume. According to Liu, prior to high-performance computing (HPC), debates about Yellowstone volcanic activity were like the proverbial blind men touching and describing the elephant. Without HPC, scientists lacked the geophysical data or imaging techniques to see under the surface. Most of the models of that time relied heavily on surface records only. But with the advent of HPC and seismic tomography about 10 years ago, geologists were finally able to peer into the subsurface. By 2010, the scientific landscape had shifted dramatically when the US National Science Foundation (NSF) -funded nationwide seismic experiment called Earthscope unearthed an unprecedented amount of data and corresponding good imagery of the underlying mantle. From these images, geologists could see not only localized slow seismic structures called putative plumes, but also widespread fast anomalies often called slabs, or subducting oceanic plates. This breakthrough has created the opportunity for more questions, spawning even more models and hypotheses. Because of the complexity of the system, this is a situation ripe for HPC, Liu reasons. But if the subduction process is more responsible for Yellowstone, and most of us sit further away from the subduction zone, we can rest a little bit easier. Liu’s research was made possible by funding from the NSF, support that procured not only supercomputing time but also student assistance. Providing an educational advantage is the more important benefit of NSF support, Liu says.